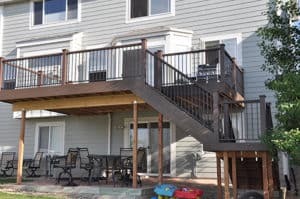 With Spring and Summer right around the corner and you are looking forward to enjoying your backyard with a new deck so it will be the place for your friends and family to enjoy. As you are considering your deck design, take a look at your budget and how it will be the best return on your investment. Adding a deck or refurbishing your current one usually is a fraction of the cost of indoor living space making it an asset when you sell your home. Since your deck will be used a lot making sure that it is laid out to where it does not take over your backyard so you can enjoy both. All of these are great ways and reasons to build a new deck. Patio covers are also a great way to keep your patio or deck shaded and cool during those hot summer months. So, let our professionals install your next patio cover and deck! If you should choose us for this home project, we will work with you to design the perfect deck for your lifestyle, taste, and budget. 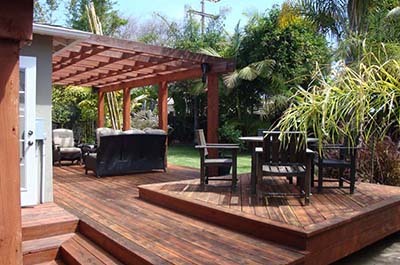 Whether it is for a small single-level, for an afternoon barbecue, or a multi-tiered configuration that follows the contour of your property, we can design the perfect deck for you.